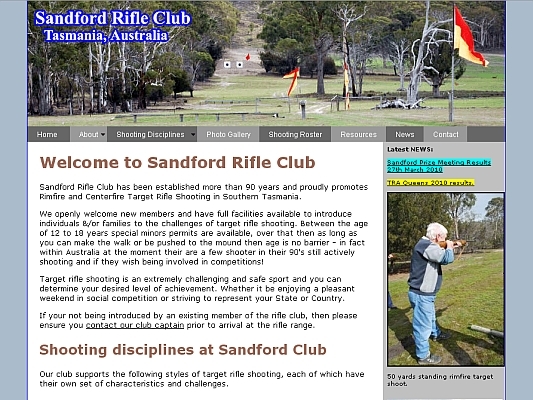 This was my first rifle club membership and a real pleasure to work with Stan Prendergast the long serving Club Captain to develop the website. Stan was overwhelmed by how successful it became in growing the club, his involvement such that he even took himself off to adult ed PC classes! Sadly Stan passed away 4 years ago, however his nearly 40 devoted years have left the club in strong position. Today the current club secretary & president utilise the CMS functionality of WordPress to keep the website up to date.